The Scorpion Antennas controller provides a convenient way to manually operate all Scorpion Antenna models including the Scorpion Home Package and Scorpion Rotatable Dipoles. 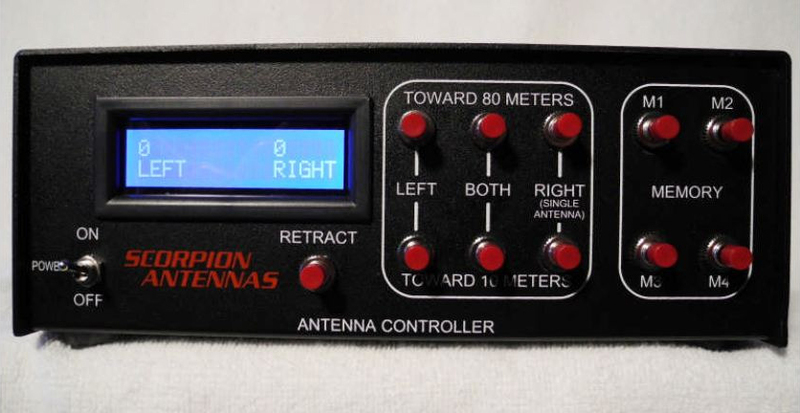 The built in display indicates the antenna position, and for dipoles the positions of both the left and right legs. The Dipole Controller manual is available on our Documentation page.